Sometimes Haiti can be a lonely place. As a missionary, one learns to get used to solitude. When visitors come, however, we revel in their fellowship and the ministry they often bring. 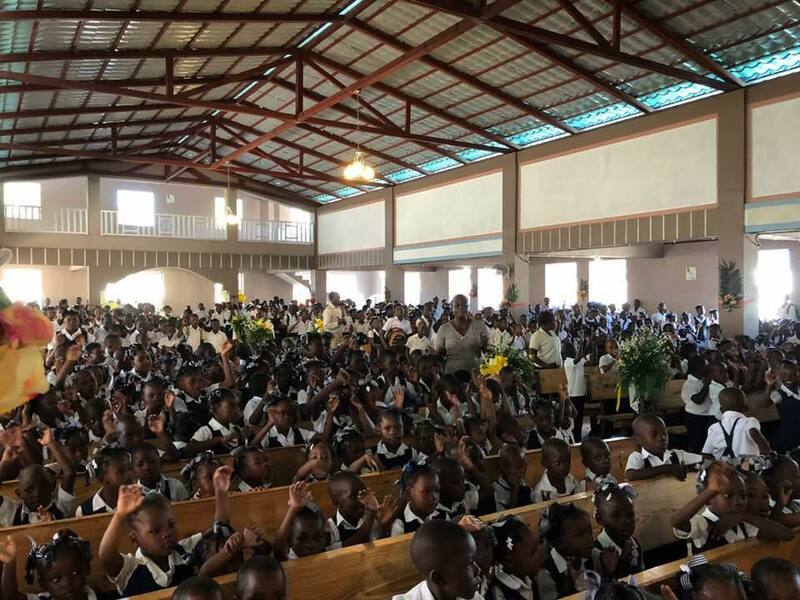 Recently, Pastor Richard Ouellette (Montreal, Quebec) and Evangelist Yves Baron (Livry-Gargan, France) graced our home and ministered in our main church in Petite-Anse. Richard is an excellent teacher and has taught several times in our church and Bible institute, including an entire counseling course. We are always delighted when he comes for a visit. His love for Haiti has moved him to start a work in the southern part of the country. For him to travel six hours on a “poor excuse for a road” to Cap-Haitian must indicate that he appreciates us. Richard ministered in our church on “The Fear of Man Brings a Snare” (Proverbs 24.29) a couple of weeks ago – a much needed message that one cannot hear too often. Yves is an international recording artist and healing evangelist. He has produced several albums that you can view on his website. Yves ministered to our people in song and afterward prayed for several of our church members. They received some incredible healings. I witnessed a lady’s leg grow out to the same length as her other one. Having suffered with hip problems for years, she is now enjoying being pain-free! Jean-Philippe Béliard is the leader of our orchestra and is also a professor in our Bible institute. Jean-Philippe has suffered from excruciating pain in his shoulders and neck for some time. After discipleship school on Sunday morning, a fellow church member told Jean-Philippe, “You’re not going to have to suffer with that pain too much longer. God is going to heal you.” Sure enough, that night Yves prayed for him and he was instantly healed! He felt the pain vanish and it has never returned. Our great physician heals and his consultations are free! Thank you, Pastor Richard and Brother Yves, for your wonderful fellowship and laughter around our table as well as the marvelous deposit you left with our congregation. Our people will never be the same. This entry was posted in Uncategorized and tagged Richard and Agathe Ouellette by Rehoboth Ministries. Bookmark the permalink.